Buy a Summer Season Pass at 10% OFF! Valid for unlimited riding until March 31st, this pass will maximise your water time during the warm summer months. 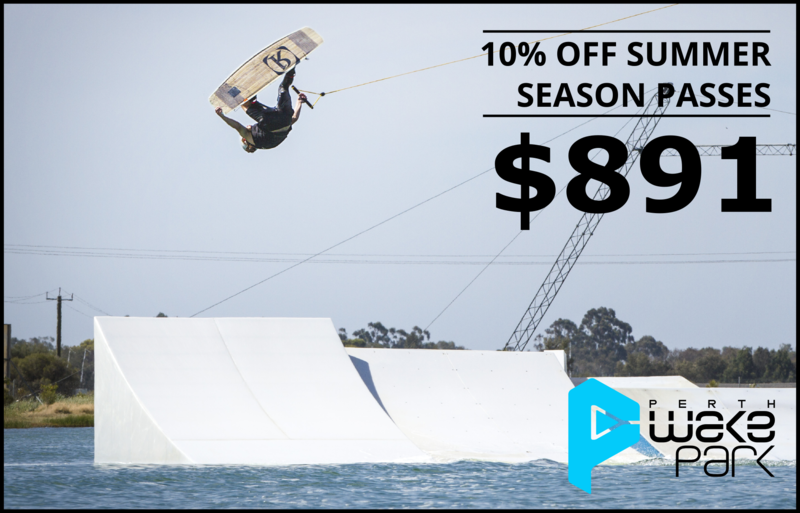 It includes 10% off in the Pro Shop and the opportunity to become a full member of Perth Wake Park. We are now open 7 days per week from 10am until dark during the week, allowing after work evening rides and until 6pm at the weekends.